A special edition within the Gomtaro family. The Gomtaro Pro-Sentei brings together large and fine teeth on one single blade. 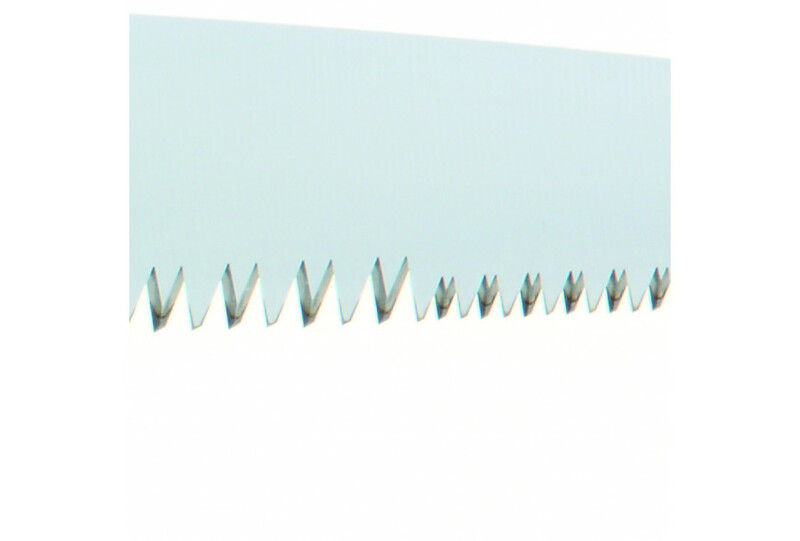 For the creation of the sawing cut for little twigs you can use the fine teeth on the last 80 mm of the blade. For the full use of this pull saw you use the large teeth to saw faster. 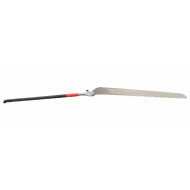 This unique combination of different teeth on one blade is ideal for arborists wishing to combine a pruning saw with a pruning shear. 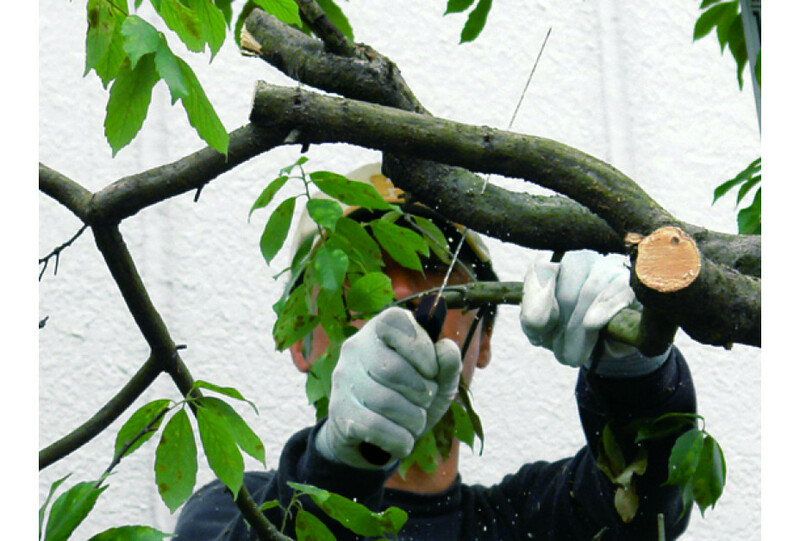 Thinner branches can easily be pruned with the fine teeth of the Gomtaro Pro-Sentei without having to switch tools. 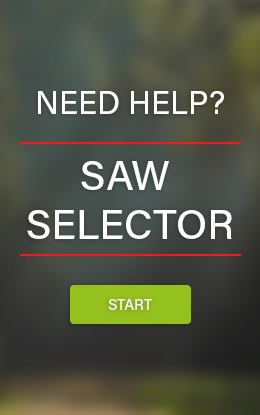 With the straight blade you can create a very precise sawing cut and easily handle the saw in densely grown spaces and close to the ground. 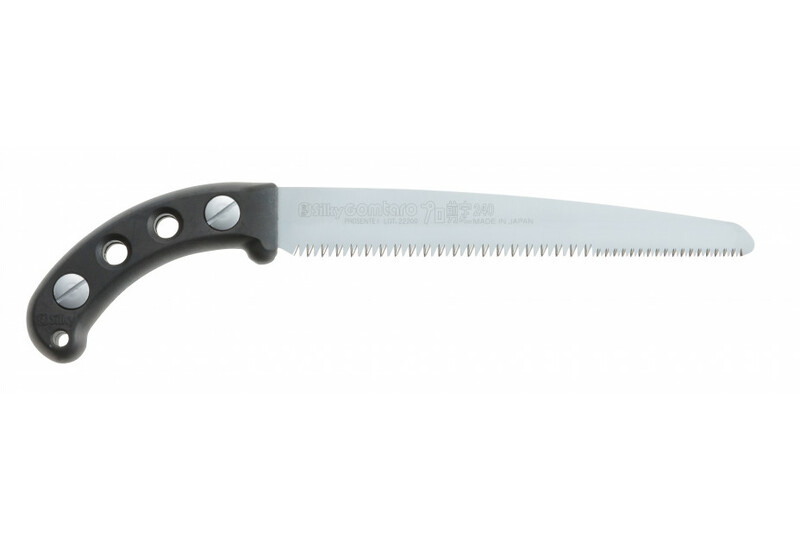 As the blade is full tang, this saw will feel exceptionally stable. 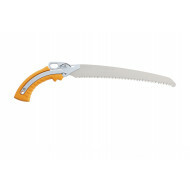 The razor-sharp teeth will leave behind a smooth tree cut, so that the tree recovers well and quickly. 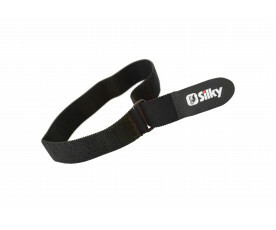 The rubber casted handle feels comfortable and absorbs vibrations. You will notice that your lower arm and saw are perfectly balanced. 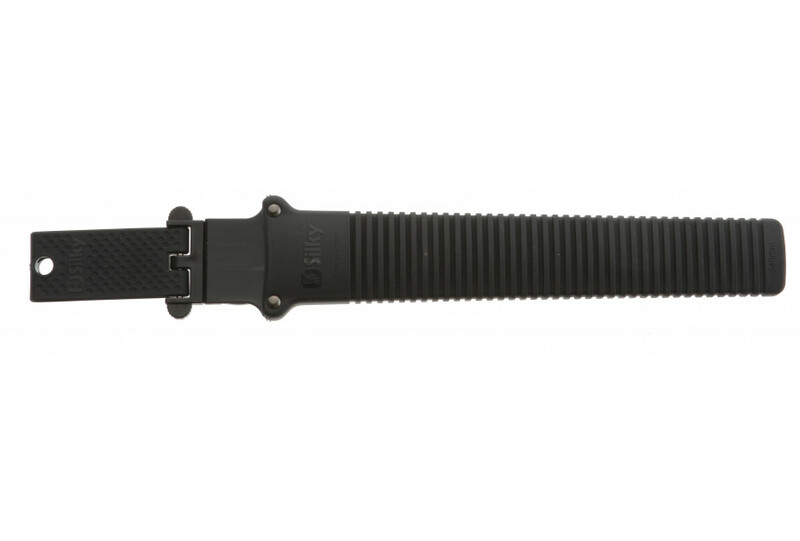 The scabbard is designed in such a way so that the saw cannot fall out of it, but can still be pulled with just one hand when needed. 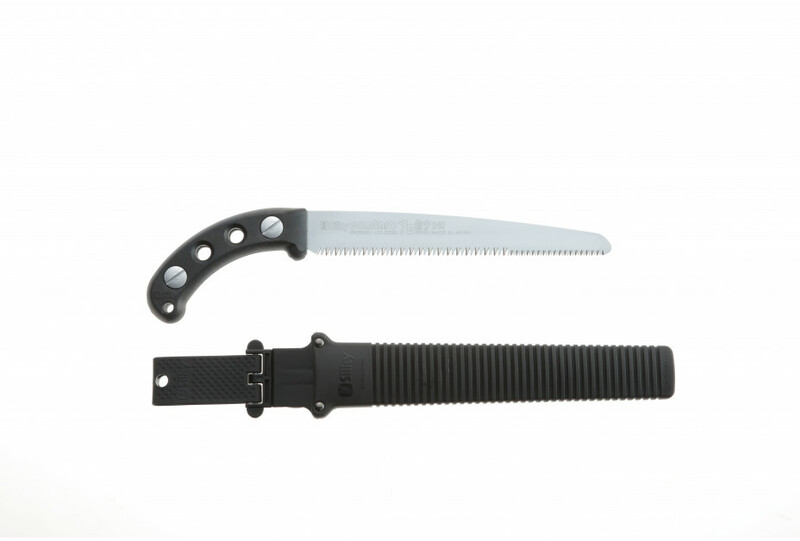 With the available leg straps you can strap the Gomtaro Pro-Sentei to your lower leg to always have the saw at arm’s length. 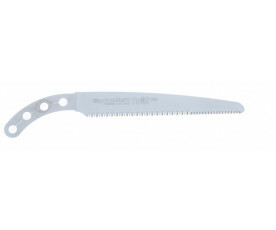 The Gomtaro Pro-Sentei is suited for fresh wood and available in two different blade lengths: 240 and 300 mm. 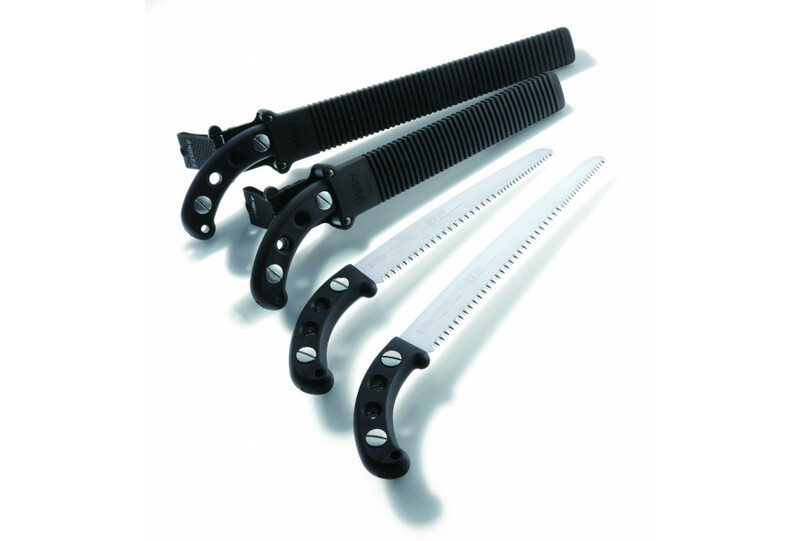 The saws from the Gomtaro Pro-Sentei series come with a lightweight, polypropylene scabbard with detachable belt holder. 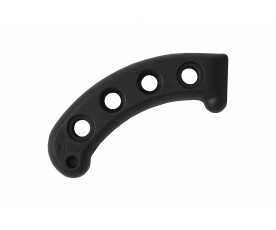 The scabbard has 2 rollers that prevent the sharp teeth from damaging the case. The bottom is equipped with a hole that drains moist and saw dust.